Chinese New Year is a very important day in China and also celebrated widely across countries like Singapore, Malaysia, United States, etc that has a vast diaspora of people of Chinese ethnicity/ origin. In 2019, Chinese New Year starts on 5th Feb 2019 & ends 19th February. In the Chinese calendar, it is the year 4716, and the Year of the Pig. The Chinese New Year is also a fab opportunity to introduce kids to China as a country and it’s amazing geography, wildlife, history, and food. What are some activities for Chinese New Year? Chinese New Year is an important tradition for every family to thoroughly cleanse the house, in order to sweep away any ill-fortune and to make way for good incoming luck. On Chinese New Year, the themes of happiness, wealth, and longevity are celebrated. On this special day, families reunite, special foods are eaten, fireworks are lit, and children receive money in lucky red paper envelopes. Celebrate the Chinese New Year in style with these brightly colored handprint Chinese dragons. Colored construction paper and your child’s handprints are all that’s needed to put together this festive craft. Join the celebration with instruments! Make a Chinese Drum together with simple materials and have a parade! 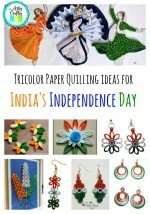 Make totally pretend Firecrackers with the versatile and easily available Toilet paper rolls. Create a Chinese lantern-like candle holder by decorating a glass jar with red tissue paper and acrylic paint! A modern take on Cherry blossoms and tangerines which are traditional symbols during Chinese New Year. Blossoms are for new beginnings, and tangerines are for luck and prosperity. Explore this simple yet fun Dragon craft which makes it great for preschool age and up! Blossom trees are much prized in both China and Japan and linked closely with spring festivals. Chinese New Year, for example, celebrates blossom in all its forms. A cute and simple Chinese fan craft that’s super simple to set up and uses a fun way to paint without a paintbrush! Gift Money to kids with these DIY Lucky Red Envelopes. Wish you make a fortune.” Celebrate Chinese New Year with this fun and festive paper lantern craft that is made using a paper plate and some supplies from the dollar store. Make some noise with this red and gold colored Noise maker crafts made from ribbon spool. Oranges are passed out freely on Chinese New Year because they represent luck and wealth. You only need a few materials for this craft, so grab them and let’s get started. Celebrate Chinese New Year by trying this traditional knot-tying craft. It symbolizes prosperity and success. The coin tree is a popular Chinese ornament believed to bring good luck and prosperity. Create your own coin tree to celebrate the Chinese New Year or make it as a project while learning about Chinese culture. Native to China, the Panda bear spells much cuteness.!! Simple but adorable, this rock panda is made in no time with some colors. 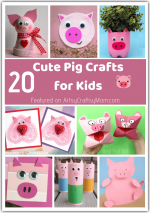 A great panda craft project for slightly older kids. Goldfish are considered very fortunate in China especially at the new year and signify abundance and are usually depicted in pairs. 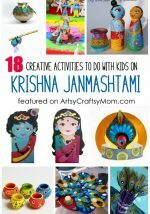 This simple craft is bound to be a hit with kids. Dragon Puppets can be made out of just about anything; a glove or a sock, recycled materials from around the house, the possibilities are endless! 25.3D Orange paper craft In Chinese, the word ‘orange’ sounds like ‘Ji’, which translates to ‘good luck’. In some areas of China, it is customary to present oranges to friends and relatives. A gift of oranges sends the message of good wishes for the coming year. 26. Handprint Goldfish According to Feng Shui, a fish represents wealth and prosperity because the actual word in Chinese for fish, in Pinyin: yú, 魚, also translates to “abundance” 裕 Pinyin: yù. Quick, easy and fun for little kids, this handprint goldfish nevertheless looks effective on display! 27.Recycled Mason Jar Lantern A perfect messy activity involving gluing red tissue papers on recycled jars. 28. Gong for Chinese New Year 29. Thumbprint Lanterns A brilliant yet simple craft idea using Chinese News Paper as skyline and Thumb or Cork Print Lanterns 30. Recycled Paper Oranges One of the lucky New Year poems is about the orange and it goes like this: “Da Ji Da Li” which means the same as every other New Year poem, “Good Luck!” For a fun and fast craft, make your own lucky oranges from Crumpled paper and other easily available materials. 31. Turn regular mason jars into a fun Chinese New Year craft with tissue paper, paint, and Mod Podge. These are perfect for a themed party! Chinese New Year is a time of new beginnings. Follow one little girl as she learns how to welcome the coming year and experience all the festivities surrounding it. This warm and lively introduction to a special holiday will make even the youngest child want to start a Chinese New Year tradition! Join beloved television character, Kai-lan, for a Chinese New Year celebration! Kai-lan and her friends get to carry the dragon costume in the big parade – but can they work together to make the dragon dance? 3. Goldy Luck and the Three Pandas by Natasha Yim In this delightful picture storybook, the author takes the familiar “Goldilocks and the Three Bears” story and adds a Chinese twist–New Year style. A little girl who goes by the name of Goldy Luck is asked by her mother to take a New Year’s dish—fried turnip cakes—to their neighbor panda’s house. 4. Chelsea’s Chinese New Year by Lisa Bullard Chelsea”s family is celebrating Chinese New Year! Chelsea gets to stay up late. She watches fireworks and a parade with a dragon! She and her family have a big feast. Find out the different ways people celebrate this special day! 5. The Runaway Wok by Ying Chang Compestine When a boy goes to the market to buy food and comes home with an old wok instead, his parents wonder what they’ll eat for dinner. But then the wok rolls out of the poor family’s house with a skippity-hoppity-ho! and returns from the rich man”s home with a feast in tow! 6. A New Year’s Reunion: A Chinese Story by Yu Li-qiong This book features a children’s version of a common story in China – when fathers come home for Chinese New Year vacation. Little Maomao”s father works in faraway places and comes home just once a year, for Chinese New Year. At first, Maomao barely recognizes him, but before long the family is happily making sticky rice balls, listening to firecrackers, and watching the dragon dance in the streets below. The book also has beautiful illustrations. 7. Tikki Tikki Tembo by Arlene Mosel A classic story that is also a popular one with book lovers. The book tells the story of a Chinese boy with a long name who fell into a well. It is a sort of origin myth about why Chinese names are so short today. Tikki Tikki Tembo is the winner of the 1968 Boston Globe-Horn Book Award for Picture Books. 8. Emma’s American Chinese New Year A Beautiful and thoughtful story of an adopted child from China and her new family in the US getting together to learn about and celebrate the Chinese New Year. She and her family observe the special holiday by participating in traditional customs and activities that honor Emma’s Chinese heritage-all with an American twist. 9. Moonbeams, Dumplings & Dragon Boats: A Treasury of Chinese Holiday Tales, Activities & Recipes A stunning compilation of delectable recipes, hands-on family activities, and traditional tales to read aloud, this extraordinary book will inspire families everywhere to re-create the magic of Chinese holidays in their own homes. 10. This Next New Year by Janet S. Wong – This award-winning book captures a child’s determination to face the new year with courage and optimism. A young boy looks forward to the Lunar New Year, often called the Chinese New Year, a time of hope—and you don’t have to be Chinese to celebrate it! Don’t forget to grab our Free Pig Headband – Click the image below to download for free. 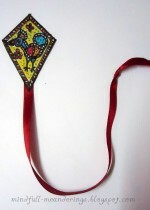 Year of the Monkey Book Mark: Do you have the characteristics of someone born in the Year of the Monkey? Print out these cute bookmarks and find out! Chinese Characters Numbers: Use this Chinese Characters Number Poster to brighten up the walls of your home at Chinese New Year or for Print and cut these out for counting or matching activities. Chinese Dragon Mask :- Free printable Chinese dragon mask to color and make into a wearable paper mask. Chinese Sensory writing : Learn to count to ten in Chinese with a sensory writing tray. 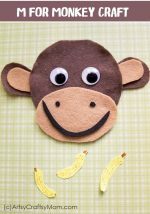 Year of the Monkey : Chinese Zodiac Mask : Celebrate Chinese culture with your kids by making this colorful Chinese Zodiac mask. Dot to Dot Printables: What are these oranges sitting in? Join the dots to find out! A rice bowl and chopsticks are a familiar part of any Chinese feast! Learn a little bit about China and its flag and what does it represent with this colouring printable flag for kids. Practice Saying ‘Gong Xi Fa Cai’ with this cute boy dressed up in traditional Chinese New Year Costume. The Traditional Chinese new Year feast/ Reunion Dinner is a great way to get families together. Each of the foods served has a symbolic meaning. Color the Chinese New Year decorations via crayola. Watch a Chinese new year parade on television or online. Bring Chinese popular culture into your home with their national sport of ping pong, the popular game of Jianzi, and tangram puzzles. The traditional colour for the Chinese celebration is red so why not have a red day – wearing red clothes, eating red food, having a treasure hunt to find all your red toys and making a collage picture using lots of shades of red? 15 Sparkling Fireworks Craft Ideas for Kids – Fun without Fire!